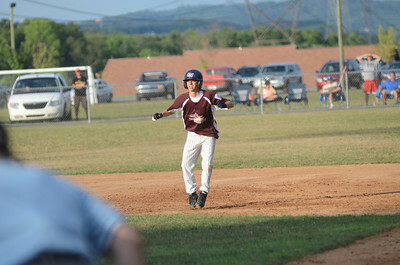 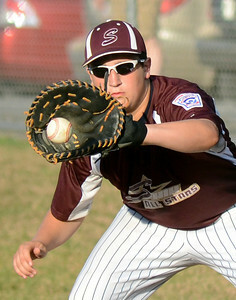 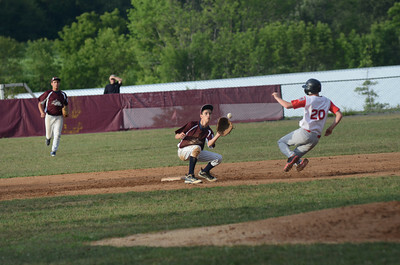 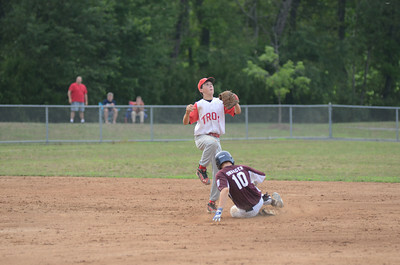 Shikellamy's Chad Sulouff makes the catch at first for the out during their game against Troy Saturday July 21, 2012 at Monroe Township Park. 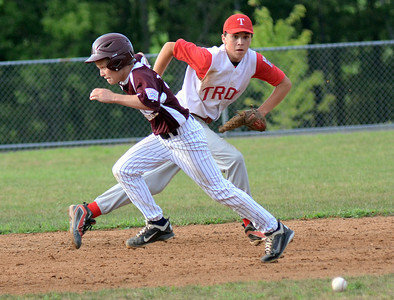 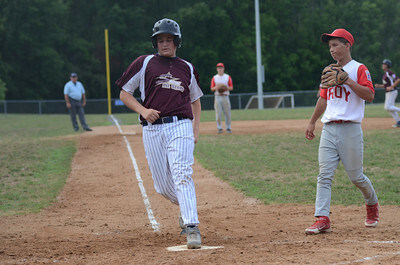 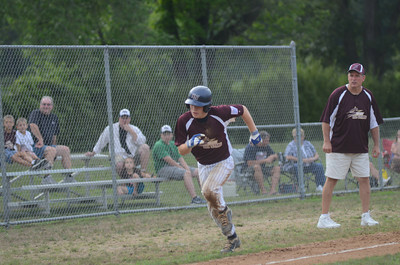 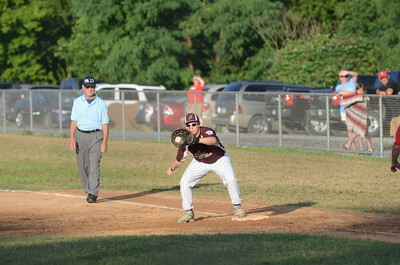 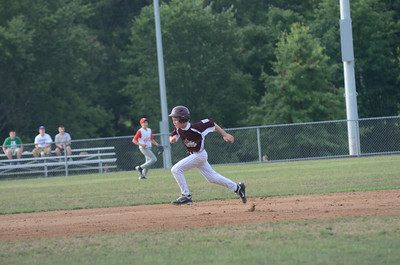 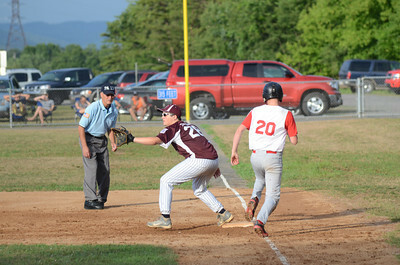 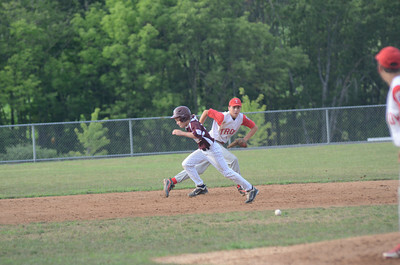 Shikellamy's Gabe Tilford heads to third base as Troy's Mitchell Morse moves toward the ball during their game Saturday July 21, 2012 at the Monroe Township Park. 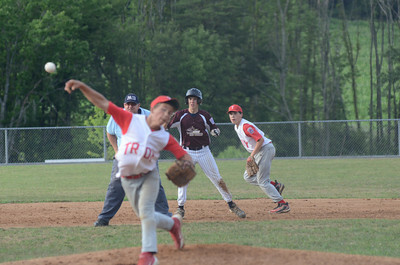 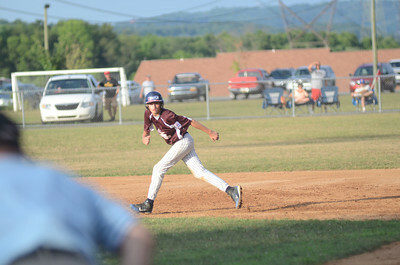 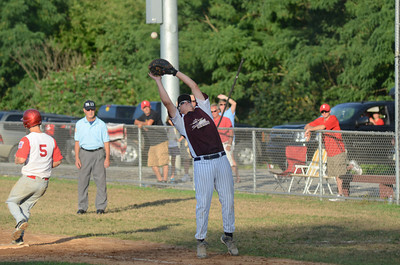 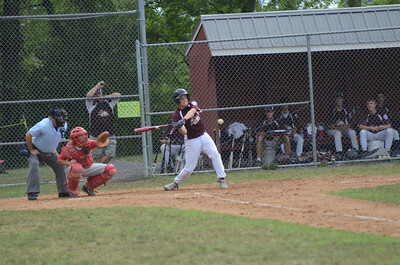 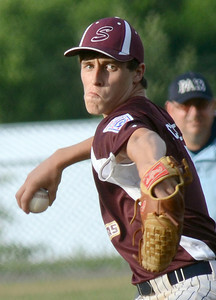 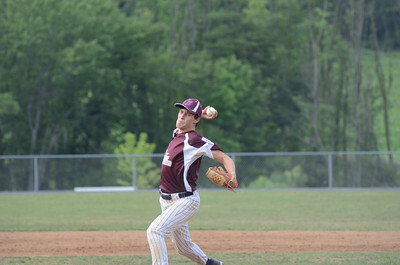 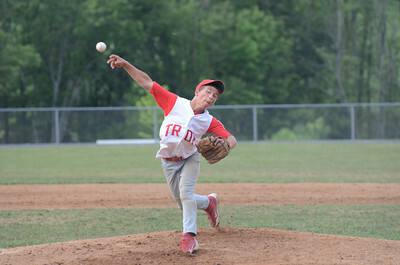 Shikellamy's Christian Schlegel delivers a pitch during their game against Troy Saturday July 21, 2012 at Monroe Township Park.